Whatever your passion is — you can make money doing it. Scouts honor. The manifestation of money doesn’t need to be an overly complex or confusing process. Instead, treat it as a natural evolution and have faith it will happen because it will! This might seem counterintuitive to the topic at hand, but I promise you it’s important — that’s why it’s step #1! Here’s the deal: if you want to make money doing what you love, then you need to stop obsessing over money. When money is the #1 determining factor in what you do, then you’ll always be its slave. Money-first thinking is what creates societies of unhappy people who feel stuck working jobs they can’t stand, buying things they don’t need and doing things they aren’t passionate about doing. Whatever your answer is — that’s what you’re meant to be doing with your life. Focus on that thing that’s tugging on your heart, and bring it into fruition. The money will follow. It always does. Too many of us put off what we love doing because we think we don’t have time, or think our time is better spent doing things that make us money now. But when we put pursuing our passions on the back burner, we end up feeling stuck living a life we’re not satisfied with. That’s why no matter who you are, where you live, or what your life is like you have to make time EVERY SINGLE DAY to do the things that bring you happiness, fulfillment, and joy. Start small, and set aside 10 or 15 minutes every day to bring your passions into fruition. Then build up from there. Before you know it, doing what you love will be a natural part of your daily life — and one of your main focuses! Taking continued daily action will allow you to master your talents, and find ways to make money utilizing them. If you want to make money doing what you love, then set creation goals for yourself. What do you want to accomplish each day, week, month, and year? Take the time to map out exactly what it is you’d like to bring to fruition, and what it will mean for your life. Then create a strategy that will allow you to accomplish your goals. Have fun with this and be as specific as possible! When it comes to manifesting money in your life doing what you love, you need to put yourself out there. You never know who you’ll meet, and how they can help you along the way. Take inspired action, and do things you wouldn’t normally do. The more you step outside of your comfort zone, the more you welcome the unknown…and the unknown is the place where infinite opportunities can be found. Let’s say you love playing the piano, and you want to create a life where you can make money composing music, but you don’t know where to begin. Do you go to a music school? How much time should you spend practicing? How do you compose your first piece? You might feel overwhelmed. Or like your dream is impossible. Or you could decide to take it one day at a time and commit to learning every single day. Eventually, your learnings will compound (just like interest), and you’ll be able to answer your questions, and figure out a way to make money composing music and playing the piano. Stop comparing yourself to other people. Don’t worry about what personal successes they are able to accomplish. And don’t feel bad when the same successes don’t find their way to you. Remember, success is personal. And you can’t own something that’s not yours. What another person has or achieves is theirs. Be happy for them, and then pave your own route to your version of success. You are one of a kind. Don’t diminish yourself by worrying about what other people are doing, achieving, or amassing. Focus on being authentically you, and opportunities to bring your passions into fruition will be yours for the taking. There are countless ways to make money in life, including by bringing your passions into fruition! Be patient, and never lose confidence that you can do what you love and get paid to do it. 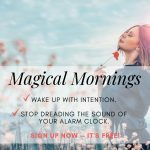 Ready to take the next step to manifest money in your life doing what you love? 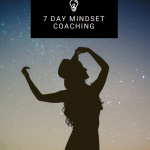 Then subscribe below and access CAJ’s FREE 7-day Mindset Coaching Journal!